I already “like” totallytarget on FB. Totallytarget ROCKS. Merry Christmas love your site. I just like it on fb! this card is super-cute! thanks for the giveaway. I “like” you on FB! 🙂 Great giveaway! Good luck everyone! Thanks for the chance to win this gift card! I would love this, thanks for the chance! I already like you on face book. What a fun little gift card! Thanks for all the awesome giveaways! what a neat card!! thanks for the chance!! Love these giveaways! Cute card! This is SO cute! 🙂 Thanks! I already like (scratch that…) already LOVE Totally Target on Facebook 🙂 Thanks! Thanks for all he great match-ups! How cute is that?! love it….. 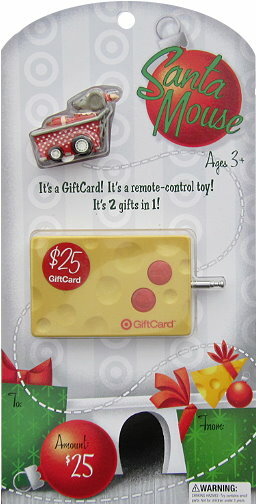 This is the cutest giftcard I’ve ever seen, love it.